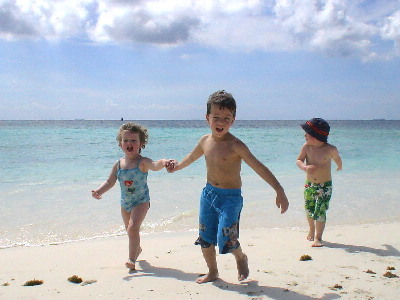 2006 in review: Happy New Year! 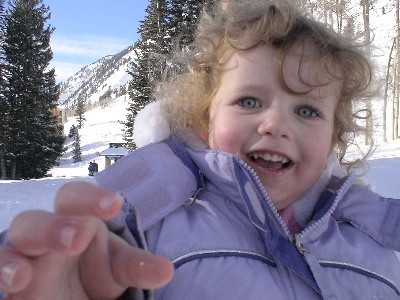 The year started out with our usual fun in Utah - skiing, swimming in the outdoor pool, and bridge. Gregory was a natural skier and progressed all the way up to blue slopes. 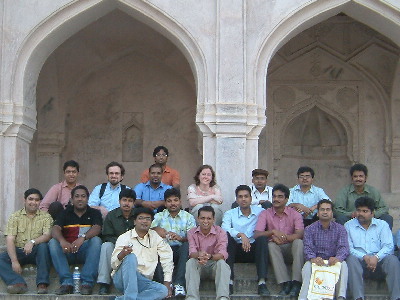 At the end of March, Karen took a week-long business trip with her boss Victor to Hyderabad, India to visit her offshore team. She really enjoyed meeting the group in person and there was even time to do a little shopping and sight-seeing. And she got to fly business class which made the travel part a lot more fun. Easter was a big hit with the kids again. 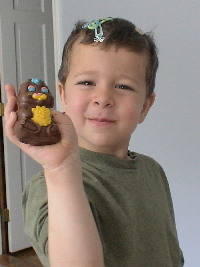 We made sparkling easter eggs with Barb and the kids gobbled up their chocolate bunnies. 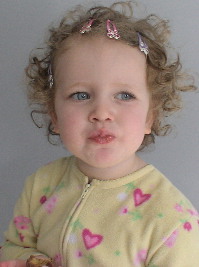 As you can see in the picture, the Easter Bunny also left some barrettes which both kids loved to put in their hair. 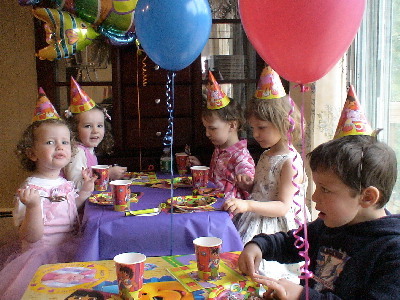 Then birthday season was upon us with Julia, Gregory, and Karen's birthdays. The kids had fun home parties and Karen celebrated her 30th birthday with a rousing game of mini-golf with some friends. Also to celebrate hitting the big 3-0, Karen went skydiving in Newport, Rhode Island with friends Dan and Jim. 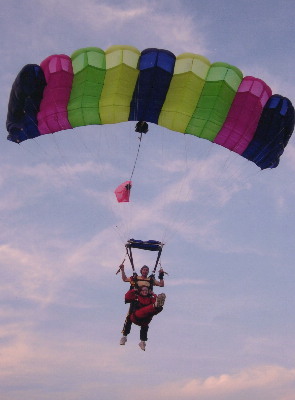 It was fun (especially tumbling out of the plane) and Barb paid for a photo and video. 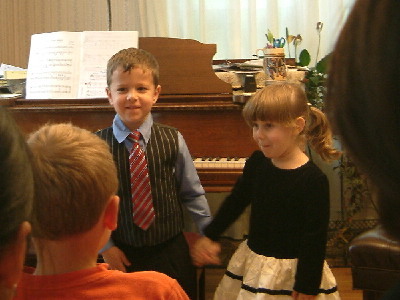 After turning 5, Gregory started piano lessons and gave an incredibly cute duet at his first recital. 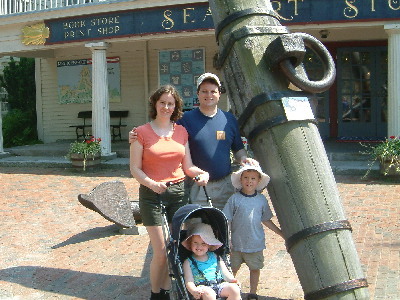 The summer was full of a lot of fun little trips with various family and friends - we went to Water Country (a nearby water park), Six Flags twice, Mystic Seaport, Newport, the Berkshires, and Martha's Vineyard. 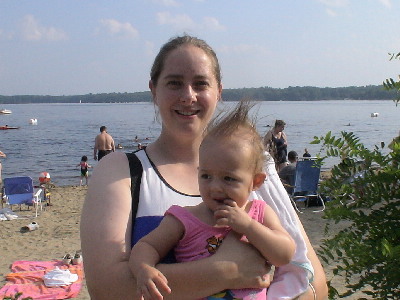 We also spent a lot of time at the lake in Sharon with Leo's parents and occasionally Barb and Jarrod. Gregory is just on the border of learning to swim and we also tried out Leo's Dad's boat a few times. 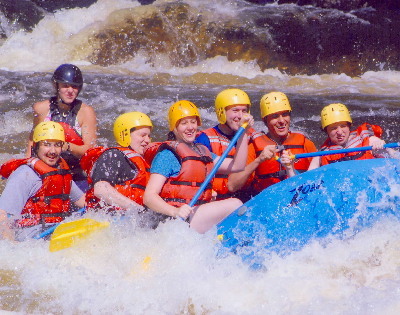 Karen organized a fun river rafting trip in Western Massachusetts in September. We were really lucky and it turned out to be a warm and sunny day. Next year we are thinking of doing it again with even bigger rapids. 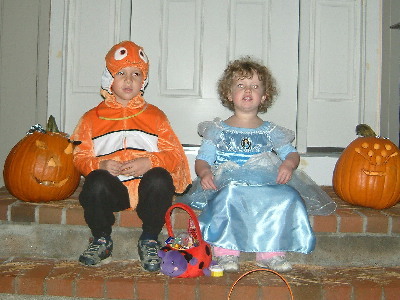 Gregory was Nemo and Julia was Cinderella for Halloween. Julia does not usually like to walk long distances, but for trick-or-treating she was willing to walk for hours. 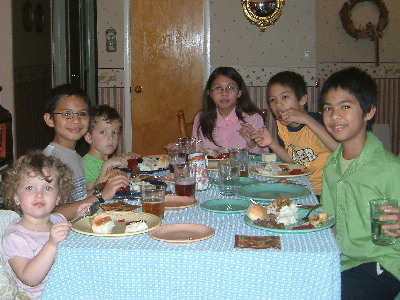 At Thanksgiving we had the chance to meet Karen's cousin Chris' fiancee and kids. A few weeks later Karen and her sister Barb made the trip to Madison, WI to see the beautiful wedding (the men stayed home with the kids). The week before Christmas we flew down to Aruba with Leo's parents and grandparents for a week of heaven. It was absolutely gorgeous. Karen's favorite part was trying out windsurfing on the ocean. After Aruba we went to Magog, Canada for Christmas week as usual, but it seemed to have caught a bit of Aruba's warmth so there wasn't enough snow for much skiing. Leo still loves bridge and various video games. He and Karen also get to read quite a lot since we take the commuter rail into Boston every day. Leo is a big fan of science fiction and fantasy. Karen learned some golf in order to play with co-workers and started attending a Unitarian Universalist church in Sharon. And her obsession with her favorite band Carbon Leaf continues and she was able to make it to a bunch of local concerts this year. She's also continuing to take classes at Boston University towards a masters degree. Gregory started kindergarten in the fall. He enjoys it and does very well in general although he apparently "has trouble controlling his body" sometimes. We are still working on that :). He also plays soccer in the Sharon league and continues ice skating and gymnastics lessons. 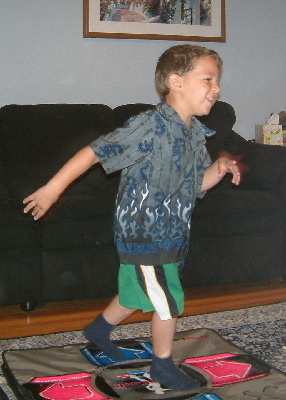 He enjoys reading and recently started playing Dance Dance Revolution (DDR) at which he is phenomenally good. 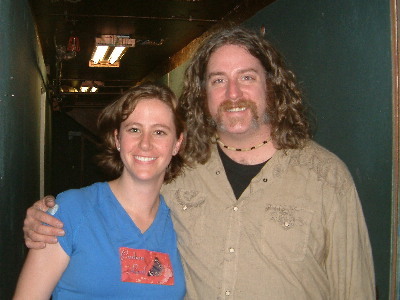 Karen has been playing for 5+ years and Gregory has already surpassed her. For those of you who are familiar with the game, he has completed several 9 foot songs. Julia is our little princess! And that is quite a compliment since she LOVES princesses and is a bit obsessed with them right now (Ariel is her favorite). Julia is a model student in the 3s room at Kindercare. She is a funny mixture of very outgoing (waves and talks to random people in the grocery store) and very shy (hides in Karen's legs and won't talk for an hour). She started gymnastics in the fall and seems to enjoy it immensely. She also likes "reading" books to us, playing card games, and taking care of her dolls. 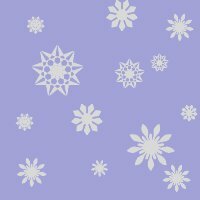 Thank you for your holiday cards this year! We love getting them. We hope all of you have a great 2007 and will keep in touch! Please come and see us when you can.